Interior Design Website Templates Free Download is specially design for interior and exterior designer agency and company. Are you interior design company and looking for startup your website ? Download Free Interior Design Website Templates for you suitable to you. Template is interior design website template which showcase your project, project single, service list and service single page. 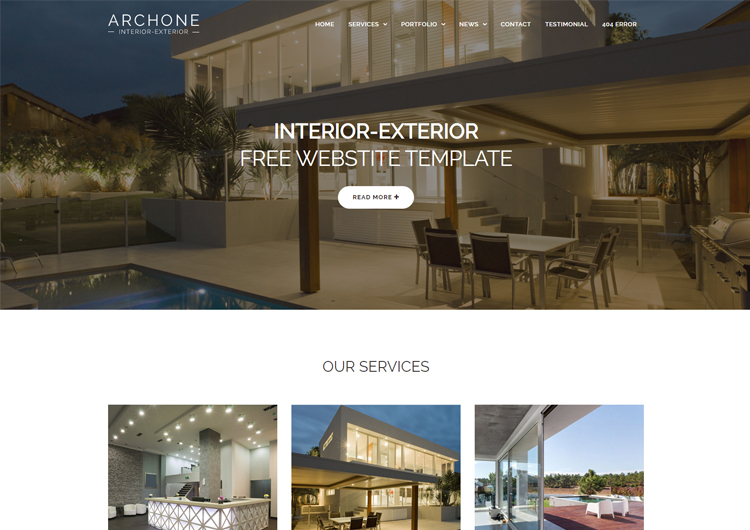 Archone is an ideal website template who wish to create professional architecture and interior design website for their valuable client. Archone is clean and modern layout website for almost any architecture category like interior design, exterior design, landscape design, bed room design, kitchen design, and drawing room design also for commercial project presentations. Notes: Images are used in template is just demo purpose. Not included in main zip folders.